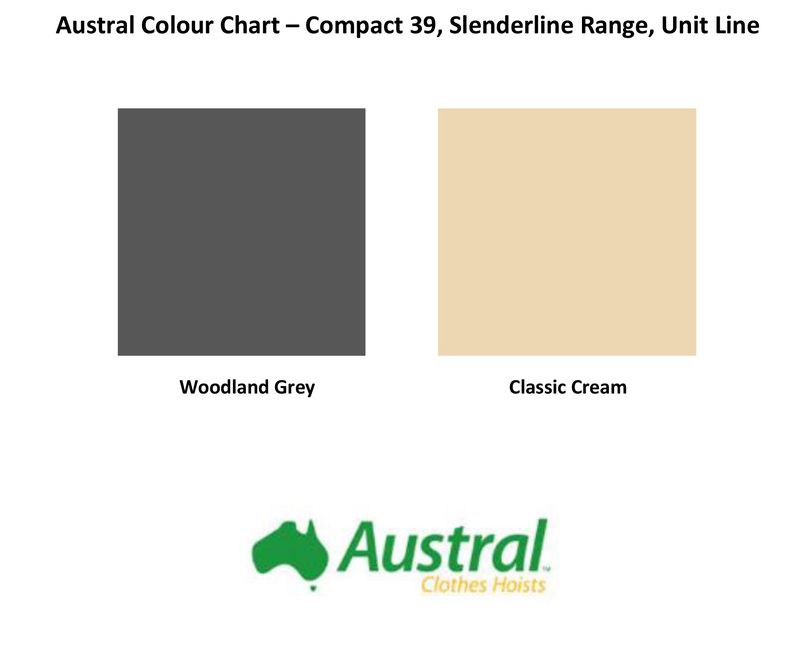 The Austral Compact Range is a great option for those larger households who are struggling for space or who prefer a more slim line design without compromising on drying capacity. With a depth under 1m, these Compact Clotheslines give maximum line space with between 28-39 metres of drying line. The Compact 39 is the ultimate line as Austral’s Largest Folding Frame available. 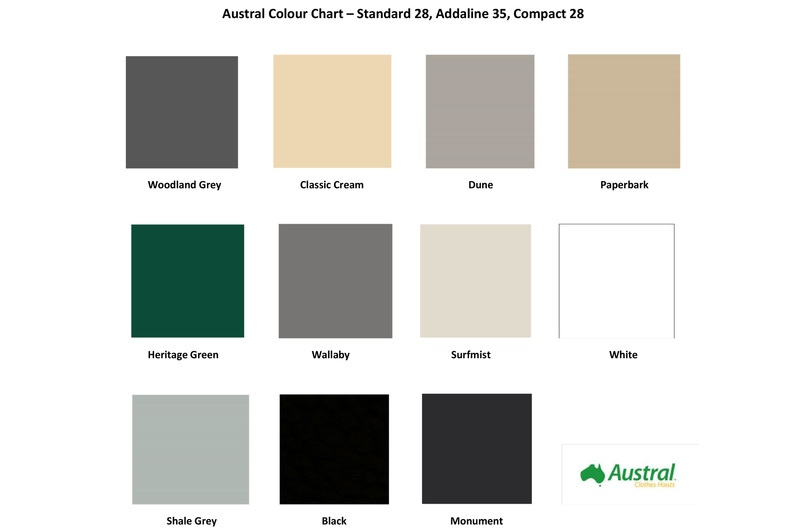 An Australian Made Product, the Austral Compact 28 comes in 11 great colours while the Compact 39 is available in Woodland Grey and Classic Cream. Special colours orders are available for an addition fee and 3-4 approximate wait time from the manufacturer. These frames can be installed on a brick wall or in the ground using a post kit. *Installation in grass/ soil area only. Installation through pavers and concrete available using core drilling or plated leg kits. 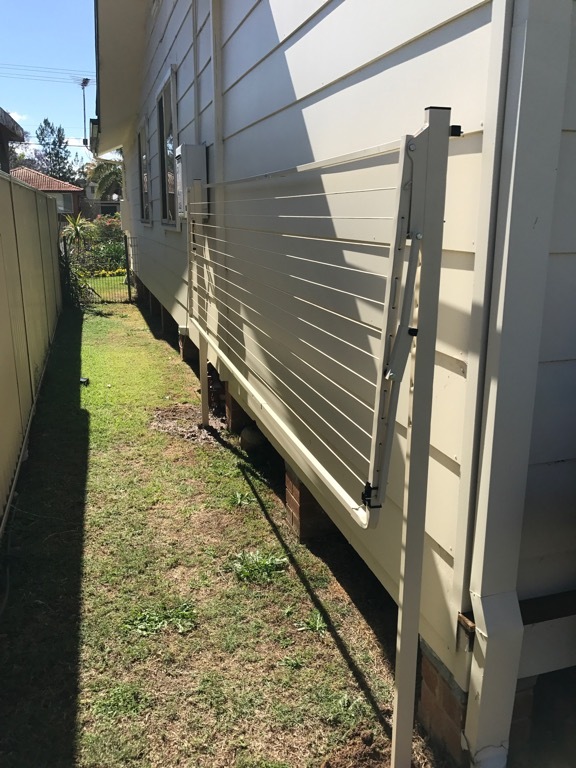 **Removal includes cutting the existing clothesline at ground level and disposing off site. The existing concrete footing will not be removed.